More than ever, Americans and Canadians are deciding to become expats and retire in Mexico. Great weather year round and access to affordable healthcare are major factors in choosing to live abroad as opposed to retiring in the states. The lower cost of living in Mexico makes it a great option for those wanting to have a good quality of life at an affordable cost. Are you interested in moving to Mexico and want to purchase real estate? Let’s discuss Villa La Estancia Beach Resort & Spa as a great real estate option that may work for you and your family. If you are interested in real estate that is low maintenance yet comfortable, why not look into purchasing property at Villa La Estancia Beach Resort & Spa? With locations in both Cabo San Lucas and Riviera Nayarit, Villa La Estancia Beach Resort & Spa is an exclusive AAA Four-Diamond Luxury Resort, Villa La Estancia Beach Resort & Spa offers a wide range of units including 2 bedroom suites, 3 bedrooms suites and even an upscale Penthouse choice for those wanting to really splurge. The villas are spacious and include state-of-the art kitchens and large living areas. In addition to a grand master bedroom and bath, units have oversized balconies with gorgeous ocean views. A pillow menu, premium bedding, and top quality cotton linens will make you feel pampered. Who wouldn’t want the luxury of having access to the many amenities and services at a luxury resort, while at the same time investing your money in real estate that will go up in value? 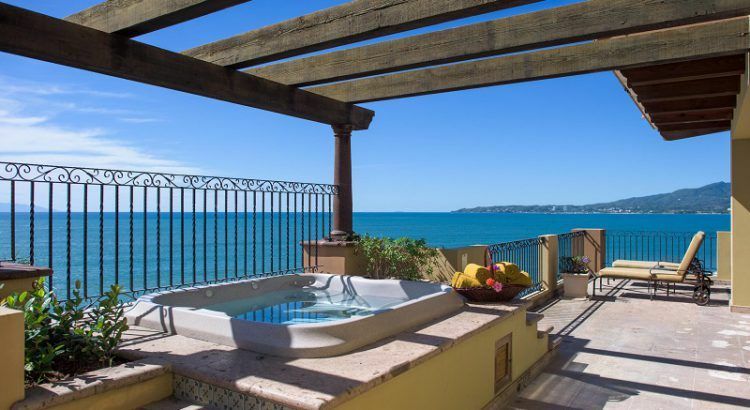 It certainly is a smart choice if you are interested in investing in real estate in Riviera Nayarit, Mexico. Mexico is geographically close enough if you need to return regularly to the US or Canada, and not too far away if you want friends and family to come visit as well. Buying real estate such as Villa La Estancia Beach Resort & Spa in Mexico is a smart choice as the lower cost of living will allow you to live the lifestyle you have always dreamed of. Affordable healthcare and access to private hospitals and doctors is one of the top benefits for an expat in Mexico. Doctor visits only cost around $500-$700 pesos which equals around $30-40 dollars. Prescriptions and over the counter medicines are very well priced as well. If you decide to purchase real estate in Mexico, you will be able to really experience and enjoy all the wonderful things about Mexico that make it so special. Amazing food and family oriented culture make Mexico an excellent place to live. There are many art galleries, restaurants, activities and shops so that you will always have something to do. If you end up purchasing real estate at Villa La Estancia Beach Resort & Spa, you may not even want to leave home but at least if you do, you know you won’t be bored. In conclusion, when starting to plan for your future, consider that purchasing real estate in Mexico might be a viable and financially smart choice. If you love experiencing different cultures and yearn for a new adventure, consider buying real estate and becoming an expat in Mexico. From the affordable healthcare, lower cost of living to the amazing food and culture, Mexico is truly a wonderful place to invest. Do you see yourself buying real estate in Mexico? If so, make sure to look into Villa La Estancia Beach Resort & Spa as it offers everything you are looking for and more. See you on the beach!